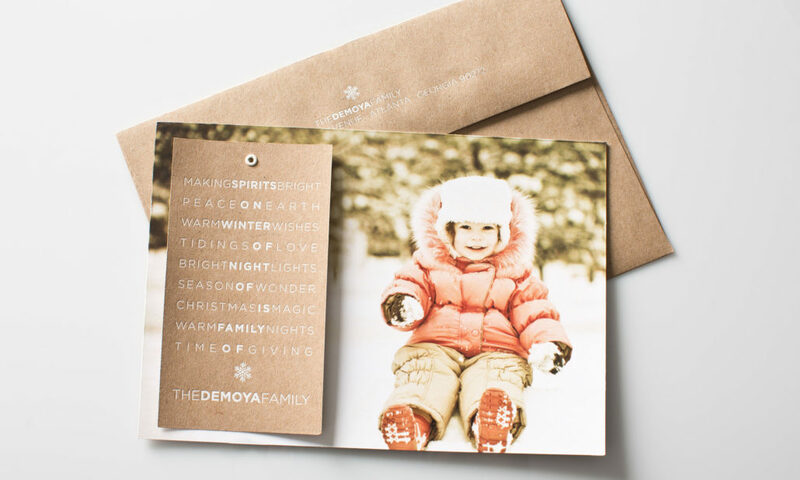 A digitally printed photo card with a second layer and grommet make a great photo stand out. 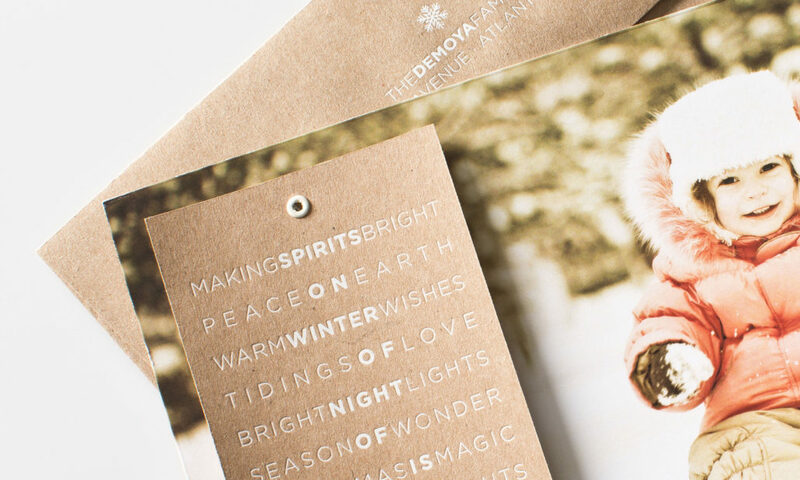 We paired with an craft envelope and crisp white text for added texture. All colors, text and paper can be tailored to coordinate with your image.